VMware has been getting involved with the OpenStack project over the last couple of years. 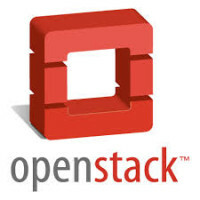 They’ve created Hands On Labs geared towards OpenStack as well as creating the VOVA virtual appliance to make it easier for VMware administrators to get started with OpenStack. The VOVA appliance is not meant to be used in production. It is only a proof-of-concept appliance. It will allow VMware admins to deploy private clouds within their environments, though, and will give them insight into the OpenStack environment via vCenter. For more information see the OpenStack pageon the VMware Developer Center site.